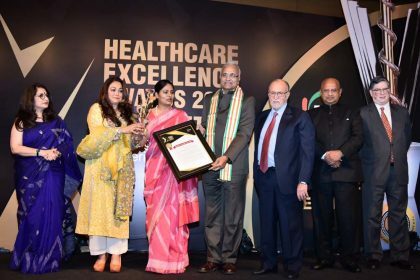 The Lieutenant Governor of Delhi, Mr Anil Baijal, gave away the 10th FICCI Healthcare Excellence Awards to 16 healthcare professionals and institutions at an awards ceremony here late evening in the presence of Minister of State for Health and Family Welfare, Ms Anupriya Patel and Chairperson, Kokilaben Dhirubhai Ambani Hospital & Medical Research Institute, Mumbai, Ms Tina Ambani. Emphasising on the importance of start-ups, he said that they are redefining the healthcare sector and urged the private sector to come forward and work in collaboration with the government to take healthcare to the next level. Minister Ms Anupriya Patel reiterated the benefits of Ayushman Bharat scheme and said that government is working towards strengthening Public Private Partnership and creating workable and viable PPP model which can be implemented in next two-three years.